You Are Here: Home » Frequently Asked Questions » What are you doing to cause the misalignments in your spine? What are you doing to cause the misalignments in your spine? If you happened to have missed the last 3 weeks post titled: Do you need X-rays to get your spine adjusted? Which you can read HERE, How often should you get your spine checked? Which you can read HERE, and Why don’t the bones in my spine stay in place? Which you can read HERE. I mentioned that this month I have decided to mix it up a little and start an on going Frequently Asked Questions series. My staff and I get a lot of questions from either our existing patients or people calling or e-mailing us through our contact page and we are happy to answer them for you. However, since many of you have the same or similar questions I have decided to write some posts on some of the more common questions we frequently get on a day to day basis about Chiropractic Care in general and the services we provide here at Belvidere Chiropractic Center. What you are doing to cause the misalignments in your spine? I can list off thousands of ways that you can get spinal misalignments but since I don’t think you’d have the time to read through them all, so I’m just going to give you a few examples. Many times it can start back in in childhood. When I was a child, in school we thought it was fun to pull a chair out when someone went to sit down and WHAM! They hit their tailbone and that sends a shock through the spine which then causes a lot of trauma to the discs of the back. School sports such as football, I love football but, what happens to the neck and spine with all those blows when football players running at full speed come together? The spine is designed to take so much stress, but when you get two football players running at full speed and their helmets come together the neck is not made to take those kind of forces. And even at birth babies can get spinal misalignments during the birth process. There was a study done by Dr. J.M. Duncan Scott, M.A., M.D., Ph.D., medical researcher, that measured the amount of force OBGYN’s were using to deliver babies. Here is what this study found out: an OBGYN weighing an average of 170 pounds elicited an average of 60 to 70 pounds of pull on the neck of a baby! Don’t you think that could cause a misalignment? You bet! And I see it all the time. In fact, when my own daughter was born within minutes of her birth I of course checked her, and found a misalignment in the top bone in her neck (called the Atlas) that I corrected. And during our short time at the hospital the nurses commented that they all wanted to get her as their patient since she was so happy, pleasant, healthy, and so easy to care for. And obviously in adults, traumas from things such as slips, falls, jars, and car accidents can cause these spinal misalignments too. 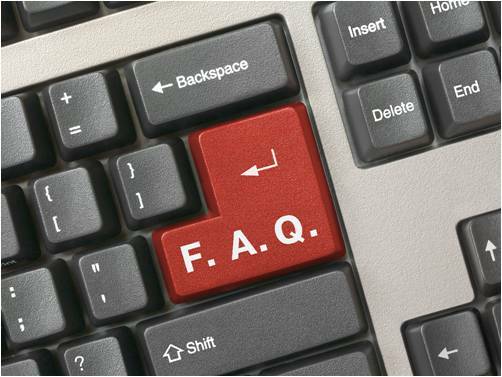 I hope you enjoy this FAQ series and would love it if you could suggest any other FAQ’s either by leaving a comment below, sending an e-mail via this site’s contact page, or by contacting me through Twitter. If you don’t want to miss this series or any future posts, subscribe to the email updates HERE. Or you can subscribe to the RSS feed HERE (See: What’s This?). And while you are at it, Get YOUR FREE copy of my eBook: An Easy Guide to a Healthy Lifestyle HERE. You can also follow me on Facebook, LinkedIN, or YouTube. What Can You Do to Take Better Care of Your Spine ? Why don’t the bones in your spine stay in place? How often should you get your spine checked? Do you need X-rays to get your spine adjusted? 2 Responses to What are you doing to cause the misalignments in your spine? Keep up the great work! We visit your blog often because its so interesting and helpful. Dr. Caratozzolo: Thank you for the compliment, I appreciate your kind words and thank you for visiting!